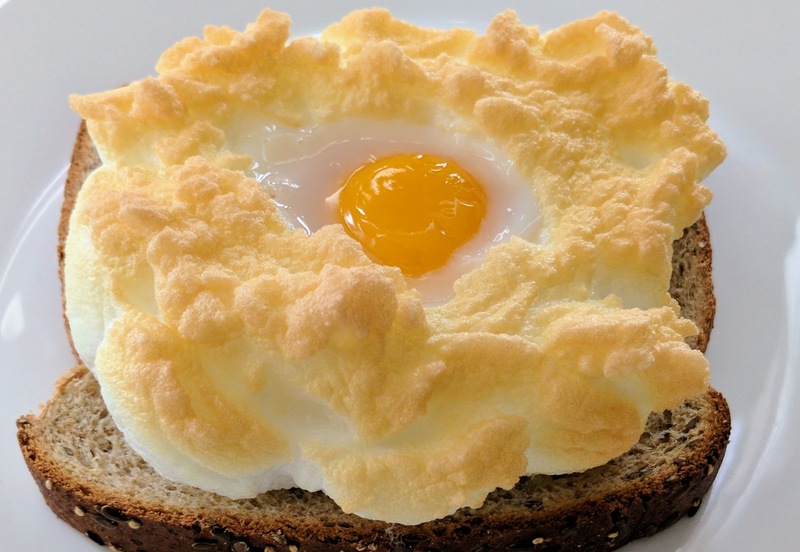 "Cloud eggs" are one the first Internet photo and food fads of 2017. I gave it a go this past weekend and they turned out divinely! 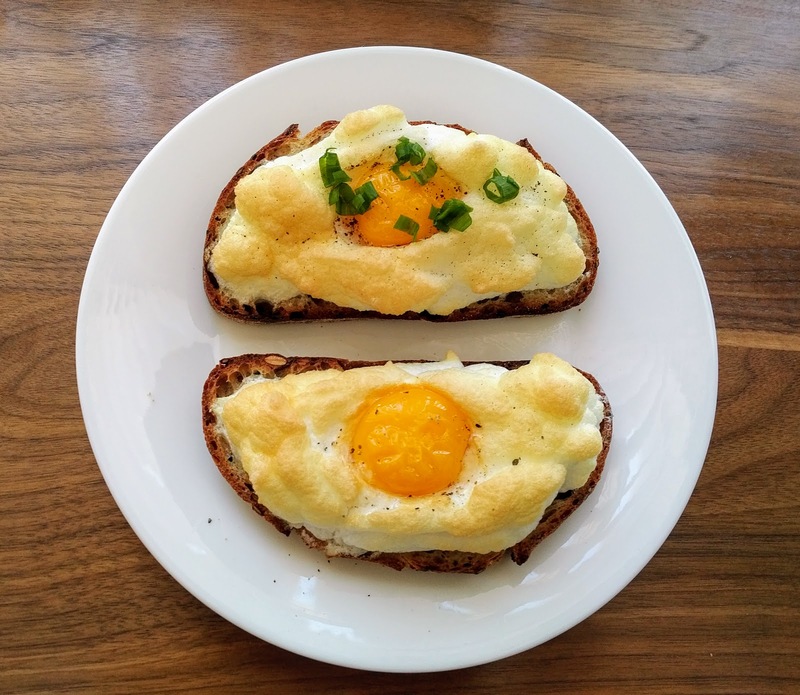 These breakfast/brunch additions are pleasing to the eye and tummy! With a soft fluffiness to it, the texture and taste are similar to that of a lightly burnt marshmallow. 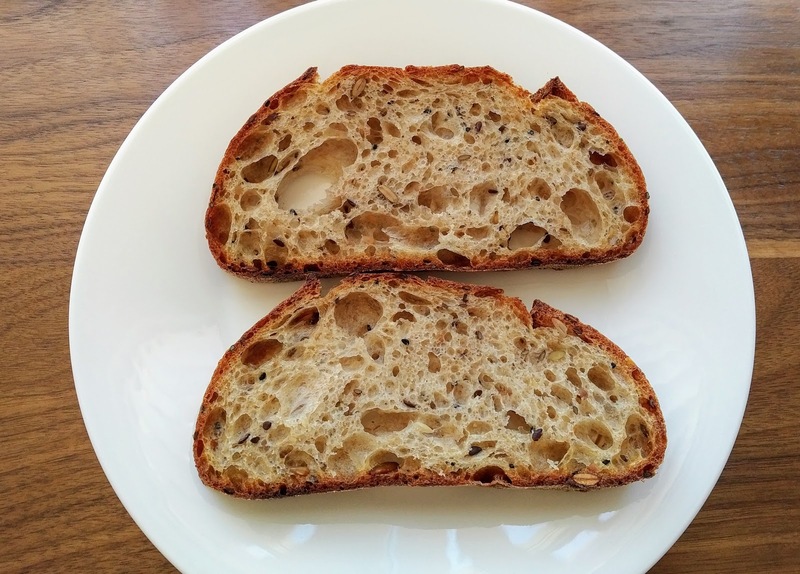 Slice some fresh bread- a multigrain whole wheat or sourdough works wonderfully with these eggs. Set the toaster oven to 400F. Separate the yolks from the egg whites. You can put the egg whites in one bowl but keep each yolk separate. Add a sprinkle of sea salt to the egg whites. 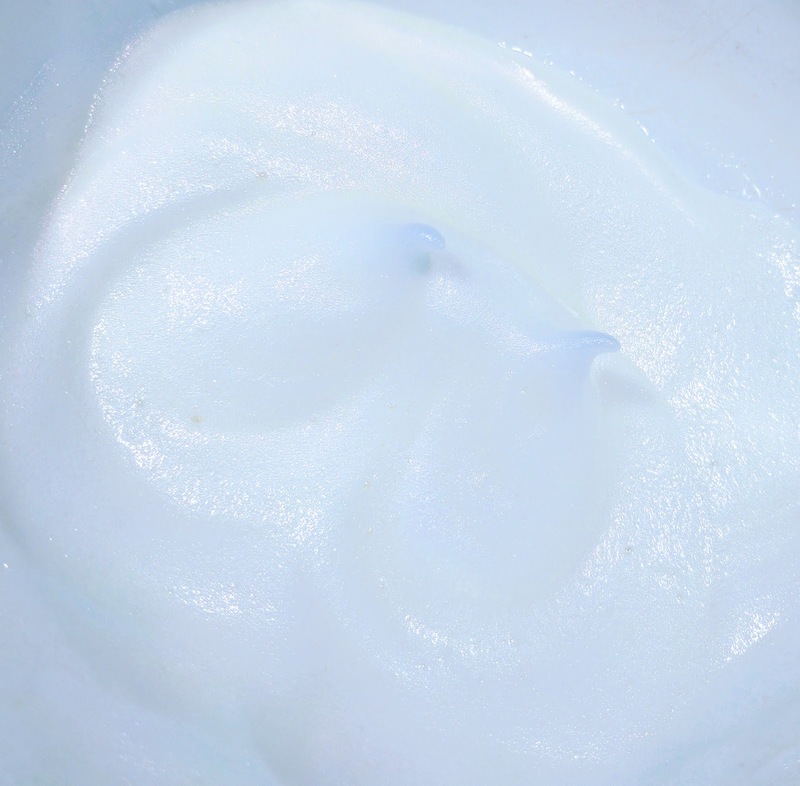 Using an electric egg beater, whisk the egg whites for 3 min until it forms firm peaks. This is key or else the egg will be runny and the "clouds" won't form when baking. 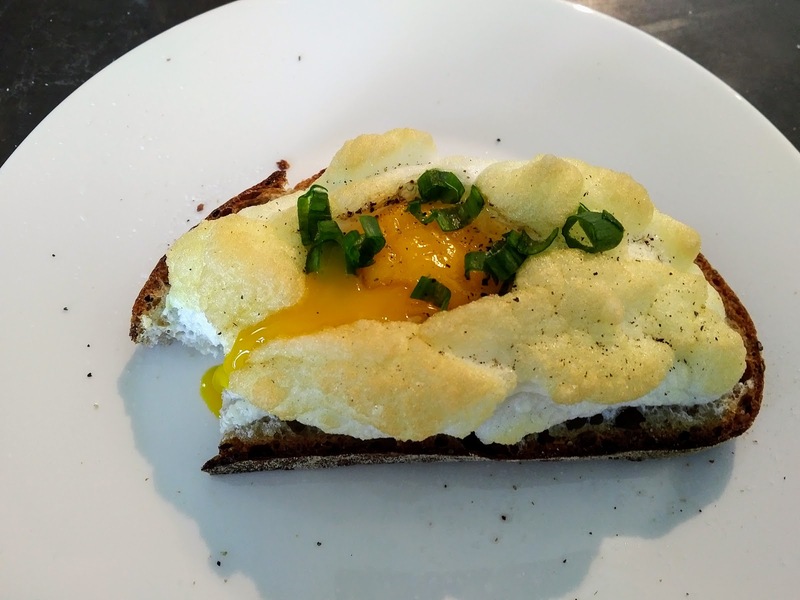 Once the whites are firm, scoop and place on the sliced fresh bread, making sure you pile it high and leave a small "crater" in the middle (to later place the yolk in). Sprinkle some salt and pepper to taste and bake in the oven for 4 min, watching to ensure they are removed once it starts to brown. 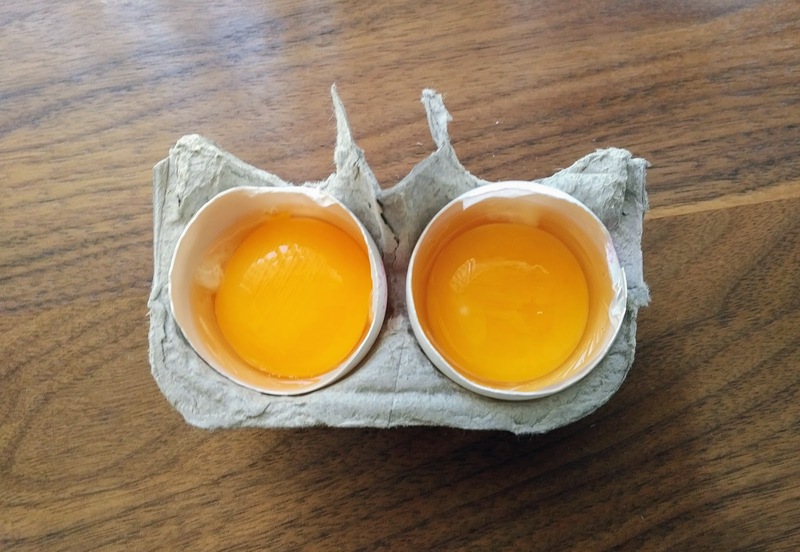 If you prefer your eggs more cooked, lower the temperature to 350F after placing the egg yolk on top and cook for longer. 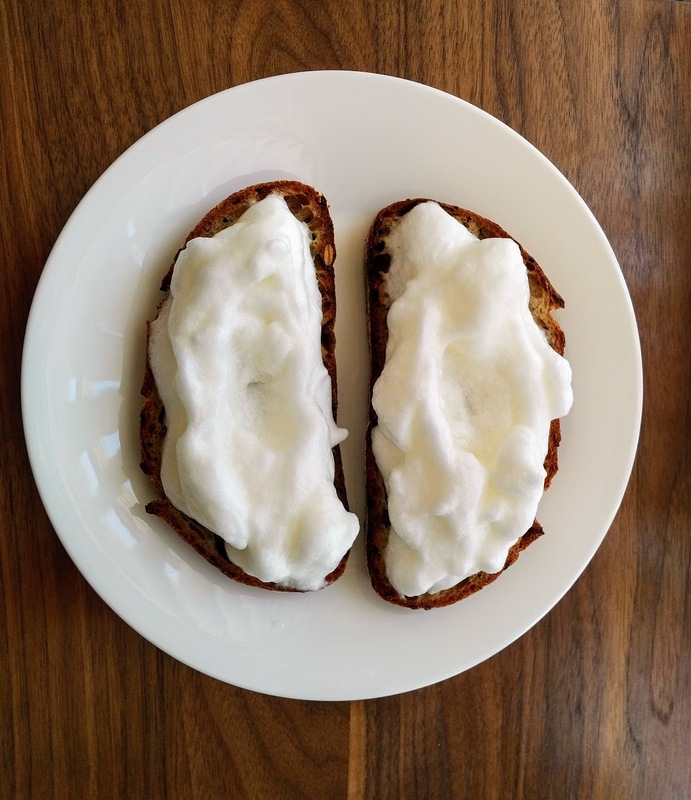 It's important to lower the temp so the bread and egg whites don't burn!